More Marines will be tapped for headed to Sspecial Dduty Aassignments in fiscal 2016 to fill hundreds of open recruiter school seats, drill instructor billets, and to help ensure the right mix of infantrymen MOS mix in the Ccombat Iinstructor Ccourses. 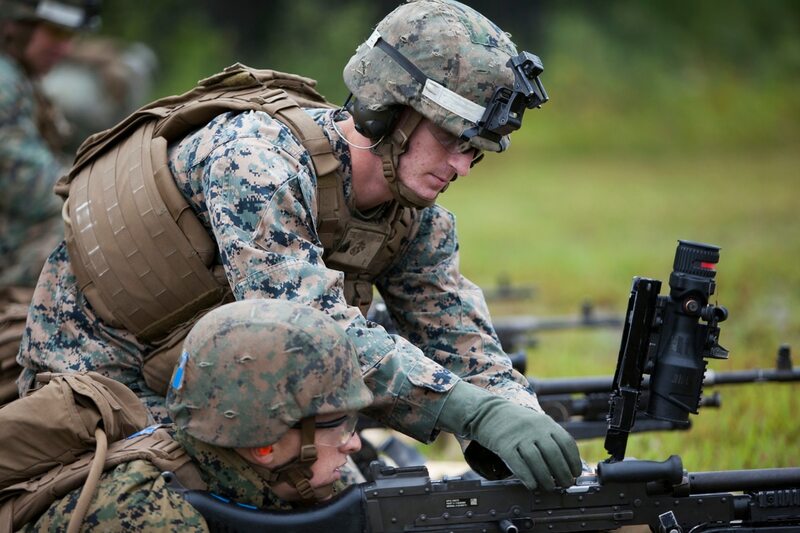 A recent adjustment at Marine Corps Combat Instructor Courses has created a need for several hundred more Marines to fill specific SDAs this fiscal year, according to Marine Aadministrative message massage 549/15. The changes were driven by the need Manpower officials are also making adjustments to maintain "a predominantly infantry mix" of instructors at the schools of infantry on both coasts, said Yvonne Carlock, a spokeswoman for Manpower and Reserve Affairs.she said. While non-infantry Marines are always needed to fill critical instructor billets at Marine Combat Training Battalion, the more specialized infantry classes are taught by appropriate experts. "The MOS mix is presently very close to what is required at each of the SOIs," Carlock said. "However, we do need to make some minor class-by-class adjustments to ensure the ratio is completely right and remains that way as infantry Marines currently serving on the duty rotate out. This adjustment will involve a relatively small portion of each remaining FY16 class." With more grunts needing to fill seats at Combat Instructor Course, spots in Basic Recruiters Course and DI schools have now opened up. Sgt. Cody Leifheit, a Marine recruiter in Lewiston, Idaho, answers enlistee Brandon Roberts' questions about the Marine Corps at his recruiting office (Sgt. Reece Lodder/Marine Corps). A recruiter answers a poolee's questions about the Marine Corps. The Marine Corps is looking for recruiters willing to do another special duty assignment tour. In order to fill some of those open billets, the The Corps is not increasing its number of recruiters, but is increasing the size of several Basic Recruiters Course classes to ensure it meets current requirements, said Yvonne Carlock, a spokeswoman for Manpower and Reserve Affairs. The recruiting manpower chief also sent emails e-mails to more than 200 former recruiters to solicit volunteers willing to who would serve a second tour. Recruit depots are also on the hunt for also need second-tour drill instructors. Officials did not specify the number needed, but said each depot usually has about fewer than 10 second-tour DIs at any given time. "The recruit depots benefit from the additional experience that second-tour drill instructors bring to the assignment, and some of the billets, such as series chief, lend themselves naturally to Marines with prior DI experience," Carlock said. Soliciting for Marines willing to do another SDA is generally successful, ation usually results in enough volunteers to meet the second-tour DI need, Carlock said. Otherwise, If not, eligible Marines will be selected through the typical SDA selection process, she added. , was described as a "relatively small adjustment involving only several hundred. "Now cCareer monitors and SDA representatives are screening eligible Marines to fill the for the newly opened slots duties. Marines tapped to fill one of them selected for Selectees will be informed no later than January. Most won't attend 2016. Most who are selected will not attend special-duty schoolhouses classes until next in the fall of 2016. Sgt. Edwin A. Gonzales, drill instructor, Receiving Company, Support Battalion, instructs a new recruit to follow directions during receiving at Marine Corps Recruit Depot San Diego, Nov. 2. Recruits are required to follow all instructions given to them by drill instructors through the course of training. Today, all males recruited from west of the Mississippi are trained at MCRD San Diego. The depot is responsible for training more than 16,000 recruits annually. Fox Company is scheduled to graduate Jan. 29. Sgt. 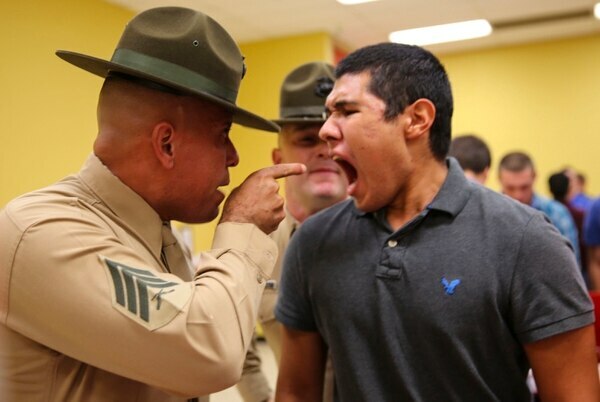 Edwin Gonzales, a drill instructor at Marine Corps Recruit Depot San Diego, instructs a recruit. Hundreds of Marines will be tapped to fill additional open special duty assignment spots in 2016. Commanders have been instructed to must certify selected Marines by Dec. 3, and are encouraged to recommend an SDA duty based on the Marine’s unique qualifications. The Corps officials are is also letting unit leaders commanders recommend class dates that best serve the needs of their command and the Marine. These adjustments follow come on the heels of an SDA overhaul that cut by half the number of Marines placed on hold during the selection process. This was a big hit with manpower planners since thousands fewer of Marines would be in limbo throughout the selection process, allowing them to fulfill other duties across the Corps. who would typically who need more bodies to fill other Corps-wide billets. About 5 percent of Marines are the Corps is on a three-year special duty assignment at any given time, with another 4 or 5 percent in the pipeline. Marines who end up on recruiting duty Selectees and volunteers will face new challenges on recruiting duty in the coming year, too. Navy Secretary Ray Mabus has ordered the sea services to boost the number of female enlisted recruits to one in four starting in 2016. On Oct. 1, Marine recruiters received new quotas to recruit more women. "The fact is none of the services are at 25 percent," Lt. Gen. Mark Brilakis, the head of Marine Corps Recruiting Command, told Marine Corps Times in late September. "I think we can turn that around, but I think all the services have concerns about getting to that particular percentage overall. The MARADMIN can be found at http://www.marines.mil/News/Messages/MARADMINS.aspx.